"But of course it is creative work - this undying, unbelievable love, the unrelenting obsession, the frantic persistence and obstinacy in searching and pursuing, the ceaseless work in the domain of art and history and, first and foremost, work of the eye, not the outer eye, ... but the inner eye, an intuitive insight into the essence of a piece of art, the collector's perspicacity." 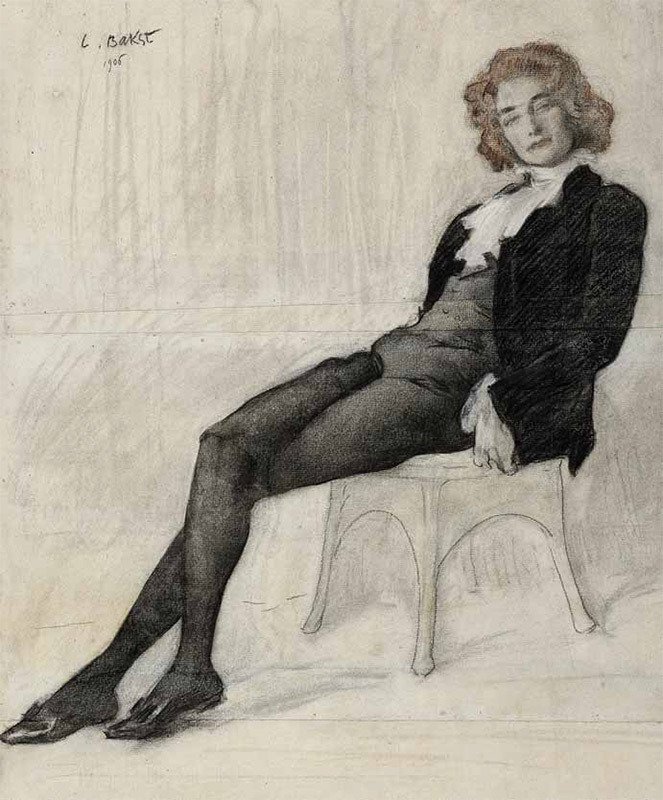 Over the last ten years the Tretyakov Gallery has been displaying drawings from its collections at temporary exhibitions. The exhibition programme has had a continuous focus on the history of the collection of 18th-20th century drawings. 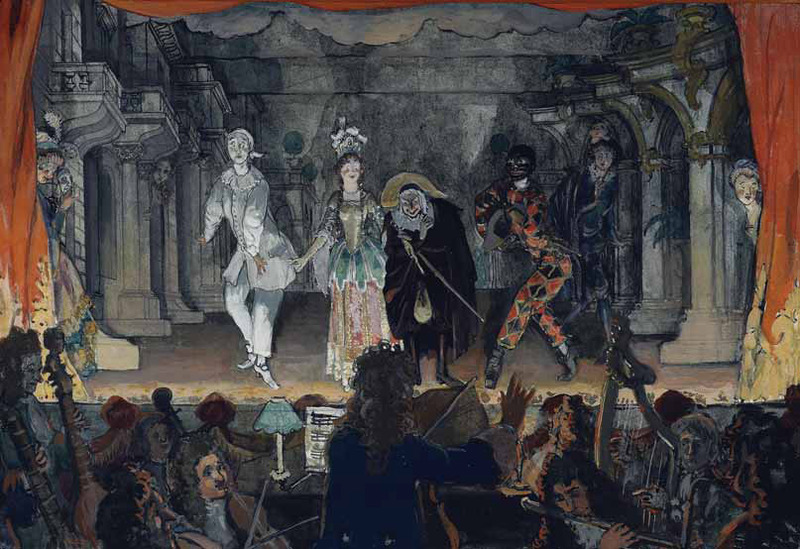 The gallery’s 20th exhibition in the series reflects a new stage in the history of its collection - namely, the significant enlargement of the collection in the first decade following the Bolshevik revolution due to new acquisitions from private Moscow collections. The exhibition "Among Moscow Collectors. 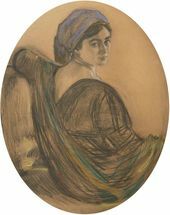 Drawings from Private Moscow Collections of the late 19th-early 20th centuries” is devoted to the turn-of-the-century Russian collectors and art patrons, whose collection items went to the Tretyakov Gallery in those years. 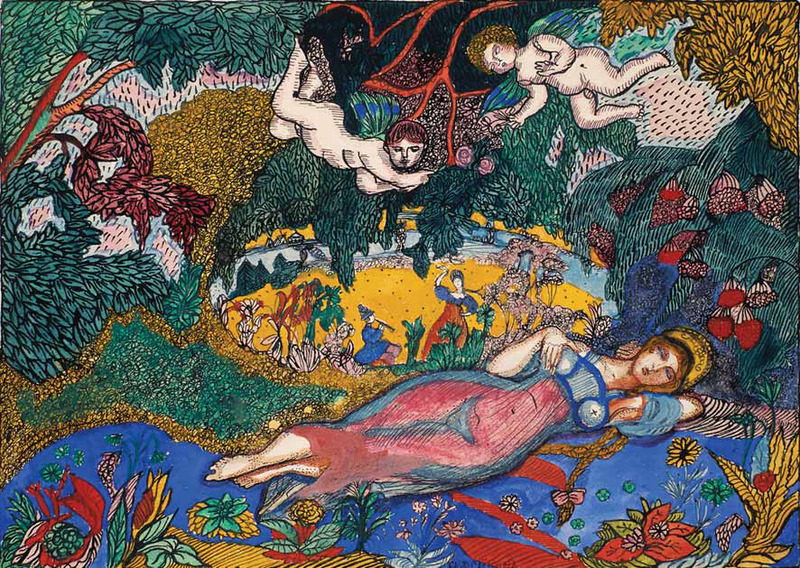 The exhibition includes over 250 pieces from 21 private Moscow collections. The collectors' names include: Ilya Ostroukhov, Ivan Tsvetkov, Sergei and Alexandra Botkin, Sergei Bakhrushin, Vladimir Girshman, Nikolai and Mikhail Ryabushinsky, Yefimiya Nosova, Vladimir von Mekk, Ivan Morozov, Savva Morozov, Alexei Morozov, Mikhail Abramovich Morozov and Margarita Morozova, Sergei Shcherbatov, Sergei Kusevitsky, German Ekkert, Viktor Vorobiev, Pavel Kharitonenko, David Vysotsky, and Ivan Troyanovsky. The exhibition not only reveals the extent of the collectors' contribution to the Tretyakov collection, but also brings into focus the importance of private collectors for Russia's cultural life of that period. 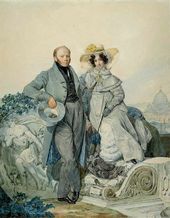 These people, with all their energy - their entrepreneurial talents coupled with a passion for art, and talent of art perception and appreciation - were not just collectors and connoisseurs; they were also a significant influence that shaped Russian culture of their period and promoted its development. Apart from visual art, they were interested in theatre, music, poetry, and philosophy. 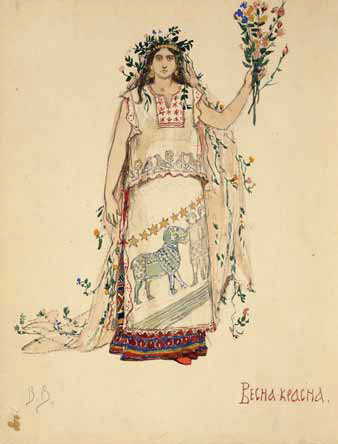 Who knows what would have become of the Russian Symbolist poetry if Sergei Polyakov had not published the "Vesy” (Weigh-scales) magazine and the "Severnye Tsvety” (Northern Flowers) almanac, or Nikolai Ryabushinsky had not created the "Zolotoe Runo” (Golden Fleece) magazine? What path would Russian music have taken if Sergei Kusevitsky had not organized the Russian Music Publishing House, if he had not unrelentingly publicized the work of young composers in Russia and abroad, if Margarita Morozova had not lent financial support to Alexander Scriabin? Had Margarita Morozova not financed the "Put'” (Road) publishing house, would the works of the eminent Russian philosophers, such as Yevgeny Trubetskoi, Nikolai Berdyaev, Sergei Bulgakov, Pavel Florensky, have been published? How would Mikhail Vrubel have fared if Vladimir von Mekk had not bought his "Demon”, previously rejected by everyone, if Sergei Shcherbatov, Nikolai Ryabushinsky, Mikhail Morozov and Margarita Morozova, Ivan Morozov, Aleksei Morozov had not supported him? 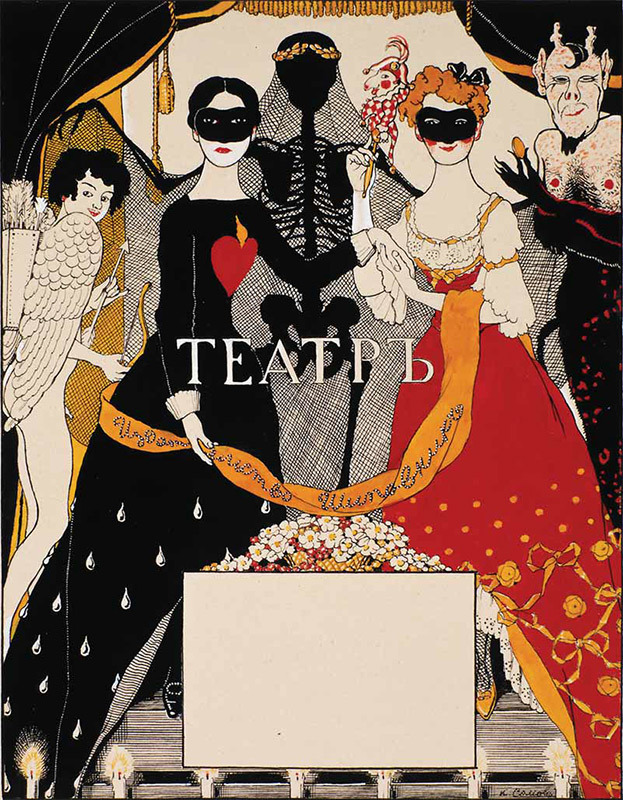 One of the hubs of the cultural life in Moscow was a "Society of Liberal Aesthetics”, established by Ivan Troyanovsky and Vladimir Girshman, which, embraced by artists from different schools and generations, organized exhibitions, readings and artistic soirees. Collaboration between private collectors and the Tretyakov Gallery was a tradition of sorts - at different periods, Ilya Ostroukhov, Ivan Tsvetkov, Sergei Shcherbatov, Alexandra Botkina, and Vladimir von Mekk sat on the museum Board of Trustees. Collecting was only one of the ties that linked those people to art, but it is the engagement that made them known to a wider audience rather than a relatively small circle of art lovers. The pieces selected by the collectors for themselves, following their individual tastes, later became the "golden fund” of the Tretyakov collection. 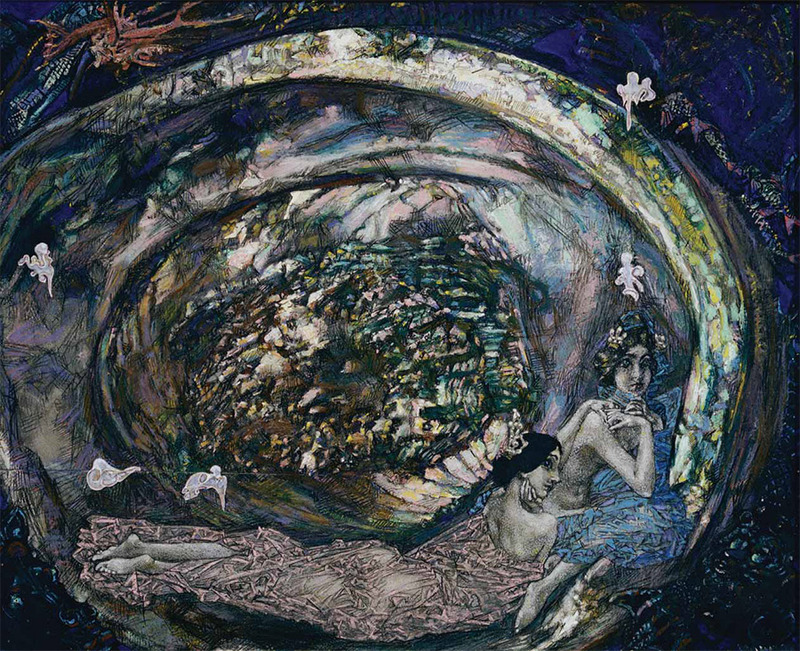 In contrast to most previous such exhibitions, the value of which was in presenting to the public unknown works in considerable numbers, the exhibition "Among Moscow Collectors” almost entirely consists of landmark pieces well known to the public - masterpieces referenced in every art history book. 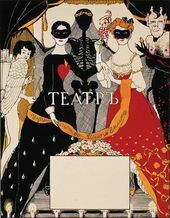 The featured items include Mikhail Vrubel's "Pearl”, "Shadows in Lagoon”, "Campanulas” and a series of illustrations to Mikhail Lermontov's poem "Demon”; the famous portraits commissioned by Nikolai Ryabushinky for the "Zolotoye Runo” magazine; the "Portrait of Valery Brusov” by Mikhail Vrubel; the portraits of poets Alexander Blok and Mikhail Kuzmin by Konstantin Somov; the portraits by "Mir Iskusstva” artists Yevgeny Lansere and Mikhail Dobuzhinsky; the portraits of Mikhail Vrubel and Konstantin Balmont by Valentin Serov; Valentin Serov's series of collectors' portraits - the "Portrait of Polina Shcherbatova”, "Portrait of Henrietta Girshman”, "Portrait of Vladimir Girshman”, "Portrait of Vladimir von Mekk”; Valentin Serov's landscapes - "Tornabuoni Street”, "Village”, "Peasant Woman with a Horse”, "Colts at a Watering Place”; Isaac Levitan's "Spring Flood”; Viktor Vasnetsov's theatre set sketches for a production of "Snow Maiden”; pastels and brilliant coal and sanguine drawings by Orest Kiprensky and Alexander Orlovsky; Karl Briullov's watercolours; Alexander Golovin's pastels "Spanish Woman” and "Eurydice's Tomb”; a rarely displayed collection of miniatures from Alexei Morozov's collection; silhouettes from the Girshmans' collection; and "verre eglomise” from Mikhail Ryabushinsky's collection. 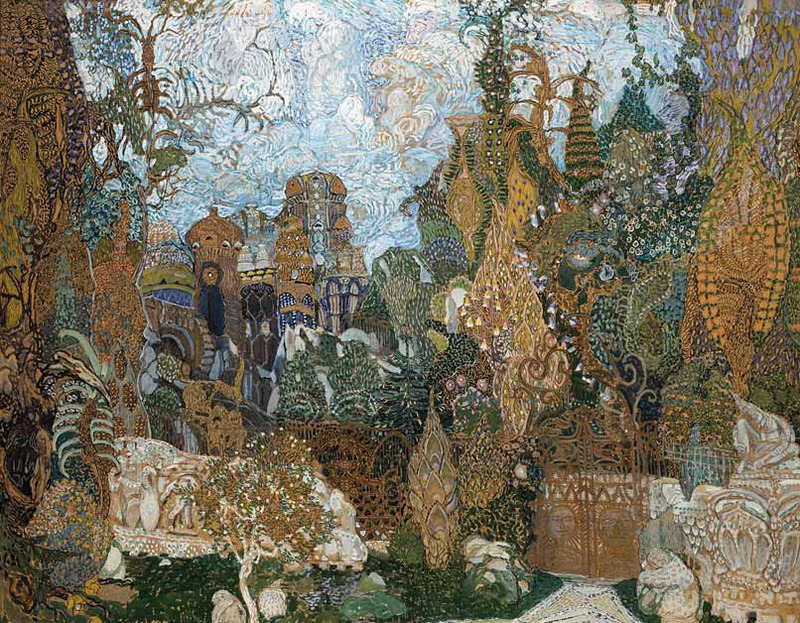 The emergence, in the early 20th century, of quite a few major collections open to ordinary art lovers provided an important impetus to the life of art itself. In some cases, a passion for collecting was a "familial trend” that touched on all and every member of a family. The examples of such collector families include the Morozovs, the Botkins, the Ryabushinskys, and the Bakhrushins. Mutual influence exercised by the collectors and the artists on each other evidenced itself in the creation of monumental paintings and murals and the fact that a lot of works were commissioned. On the other hand, every collection is an authorial "art history” of its time, carrying the imprint of the collector. 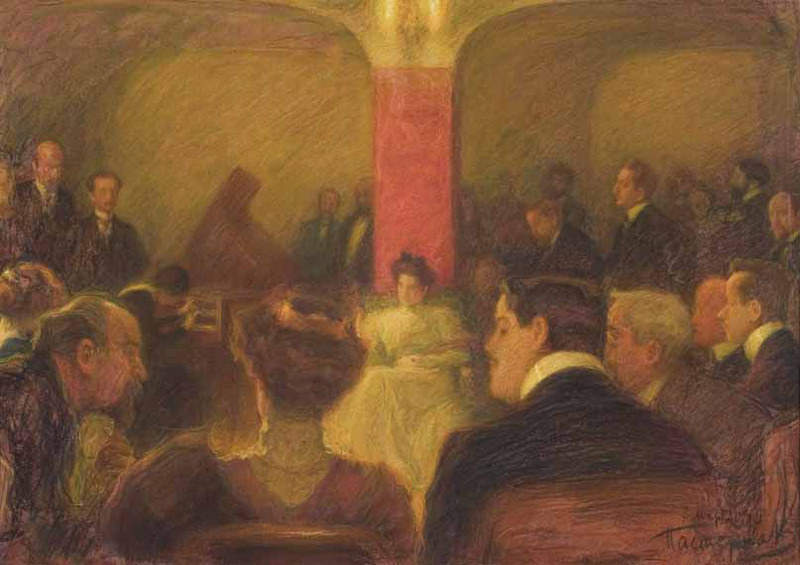 It was the collectors' individual tastes, their mentality that determined the selection of artists and specific works. "Every valuable private collection has another 'historical significance' - a 'psychological significance'. 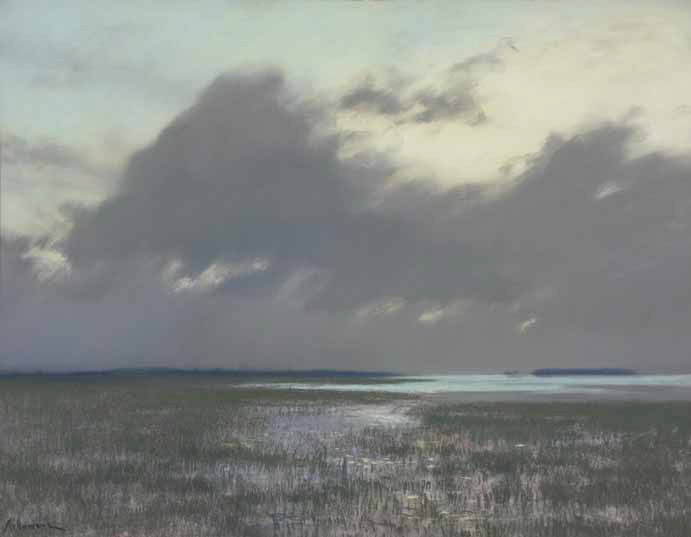 Collections bring to light the collectors' selves, reflecting their inner life, their needs,” wrote Sergei Shcherbatov. Along with a traditional enthusiasm for classic art, there was also a huge interest in contemporary art. Rising to a new high level at that time, the art of drawing became a distinctive province in collecting. Especially noteworthy in this respect are the collections of Ilya Ostroukhov, Ivan Tsvetkov, Sergei Botkin, and Vladimir Girshman, whose collecting was specifically focused on drawings. 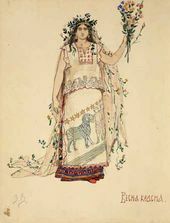 What accounts for large numbers of drawings in the collections of Sergei Polyakov and Nikolai Ryabushinsky is their professional activity - they kept the numerous sketches made for the illustrations of their publications, the almanacs and magazines such as "Vesy”, "Zolotoye Runo” and "Severnye Tsvety”. Drawings, many of which were presented by the artists themselves, constitute the bulk of the unassuming collections of famous Moscow medical doctors - Ivan Troyanovsky and Viktor Vorobiev. This principle determines the exhibition structure, with each of the 21 collections presented as a distinctive autonomous element of the exhibition. Each collection is viewed as kind of a "combined portrait”, comprising both its best items and its most typical ones, the ones reflecting the individuality of the collection and the collector's personal passions, his or her circle of contacts, artistic flair and stance as a collector. Brought together, these collections evoke not only the air of the time, but also the individualities of the collectors - probably because the soul of the collector lives in every collection, in every work of art.